I’m sure you have heard a lot about Wheatgrass. Some of the well known juice & smoothie bars offer Wheatgrass juice as a booster shot and you can add it into your blends. 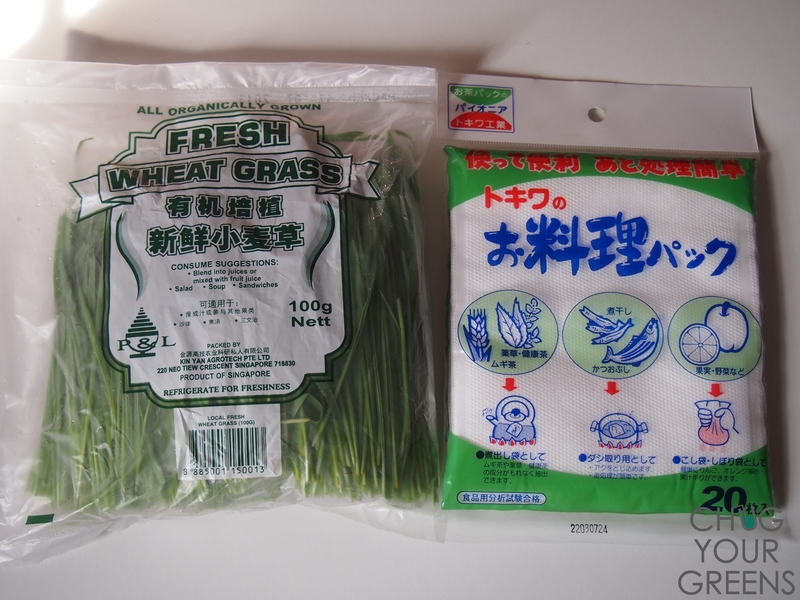 Wheatgrass is one of the healthiest substances you can find on earth. In a nutshell, it helps to increase production of haemoglobin i.e. build blood, normalise blood pressure, lower blood cholesterol and cleanse toxins from your body. Wheatgrass contains high amino acid contents which are the building blocks of protein (YAY for gym goers!) and increases your immunity. Wheatgrass is a powerful antioxidant and prevents free radical damages to the cells in your body. Chlorophyll is known to relieve joint inflammation and because Wheatgrass contains large amounts of Chlorophyll, experts believe that it is effective in treating arthritis (this will be really beneficial to many of our Mums). 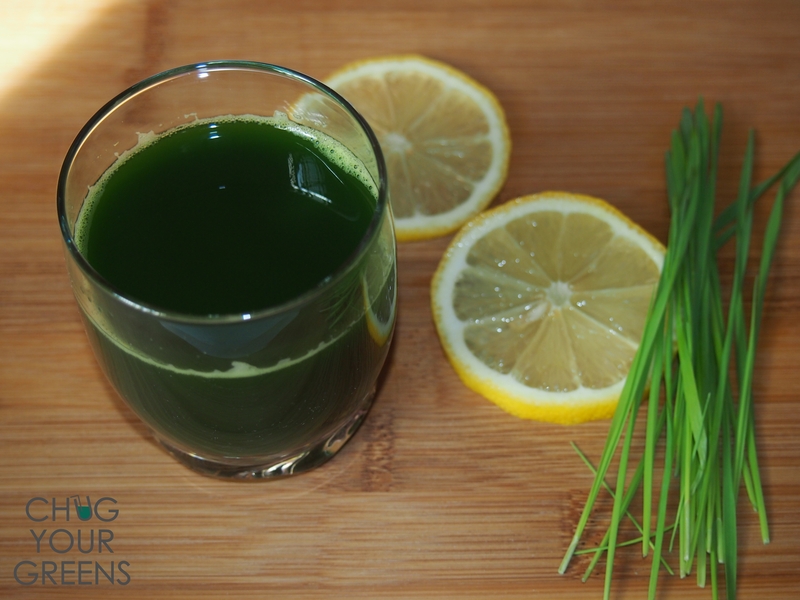 If you have a juicer, you can easily extract Wheatgrass juice. You can also buy Wheatgrass powder off the shelves and if you, like me, only have a blender at home, the following guide will teach you how to get Wheatgrass juice easily. First you need something to strain the blended Wheatgrass. Most guides I found online will recommend a cheese cloth or muslin cloth. I think the Coffee sock (probably only locals will know what this is ) will work just fine too. I’m a lazy girl. I found this packet of strainer bags in NTUC FairPrice. There are 20 bags in one packet. It’s all in Japanese but the illustrations show it can be used for straining herbal tea leaves, juices etc. That’s exactly what I need! I’m sure you can find similar ones in Daiso or your local supermarkets. There are a few sizes to choose from, try to get the bigger ones. 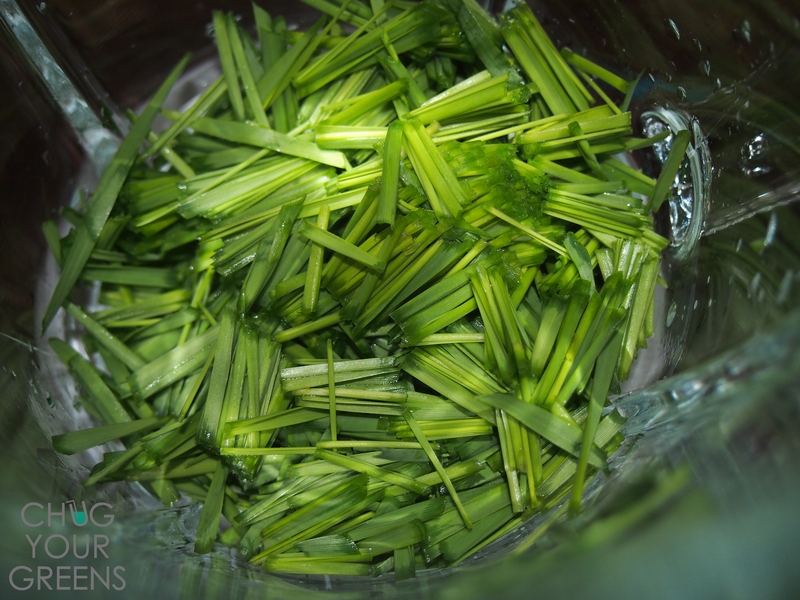 Cut the Wheatgrass into tiny pieces with a pair of scissors. Pour about 150 ml of drinking water into the blender. 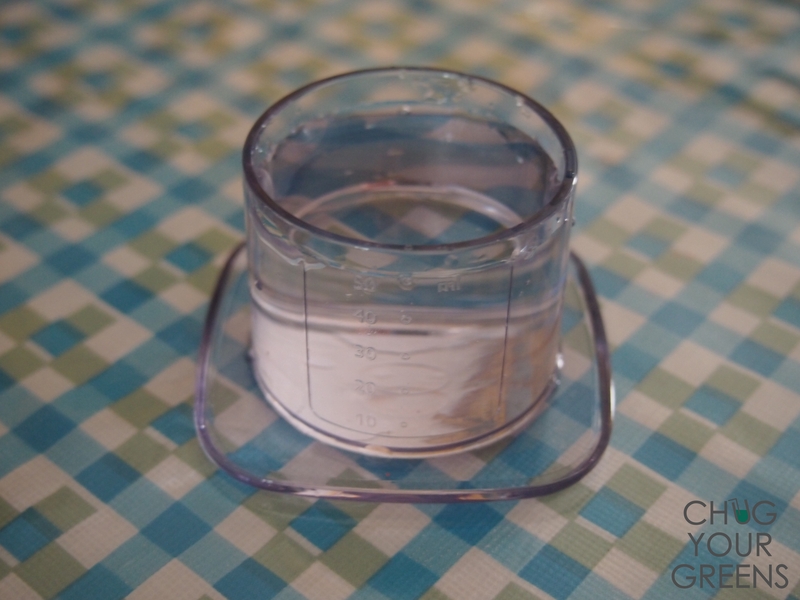 My Jamie Oliver blender comes with this measurement cap, so I used about 3 caps of water. Blend for about 30-60 seconds. 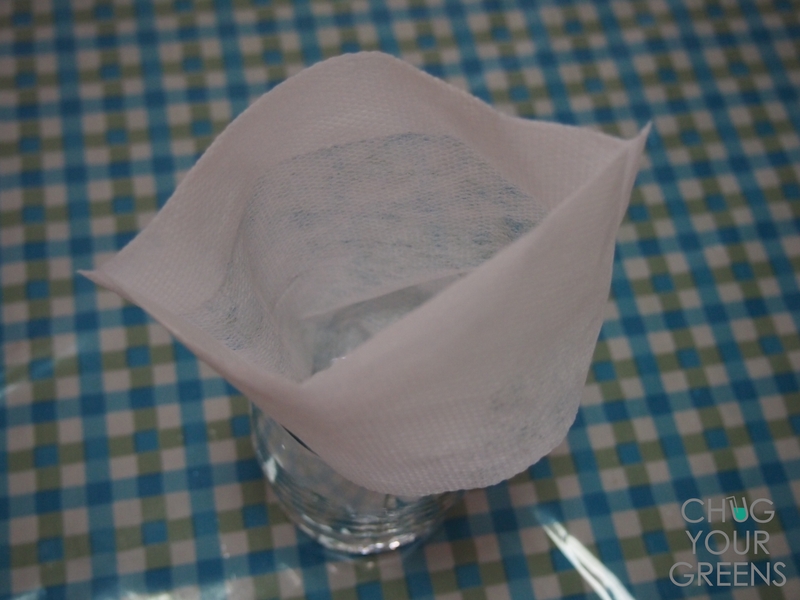 Remove one strainer bag from the packet and place it in a glass. 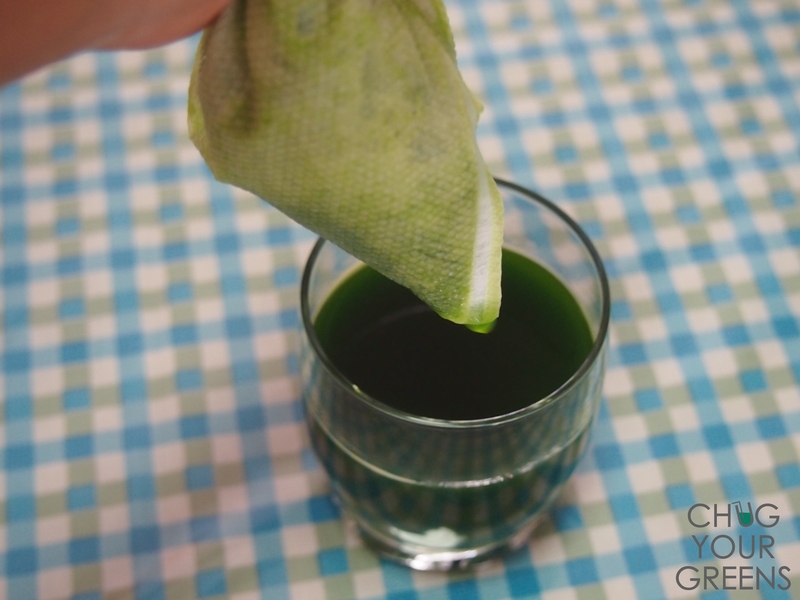 Slowly pour the blended Wheatgrass into the strainer bag. Lightly squeeze to get the remaining juice. You get your Wheatgrass juice containing all the goodness beneficial for your health, just by using your blender and a strainer bag. Wheatgrass juice tastes a bit bitter on its own. You can add a few drops of lemon juice and drink straight from the glass, or you can add it to other smoothies. Hope this post is helpful to you. 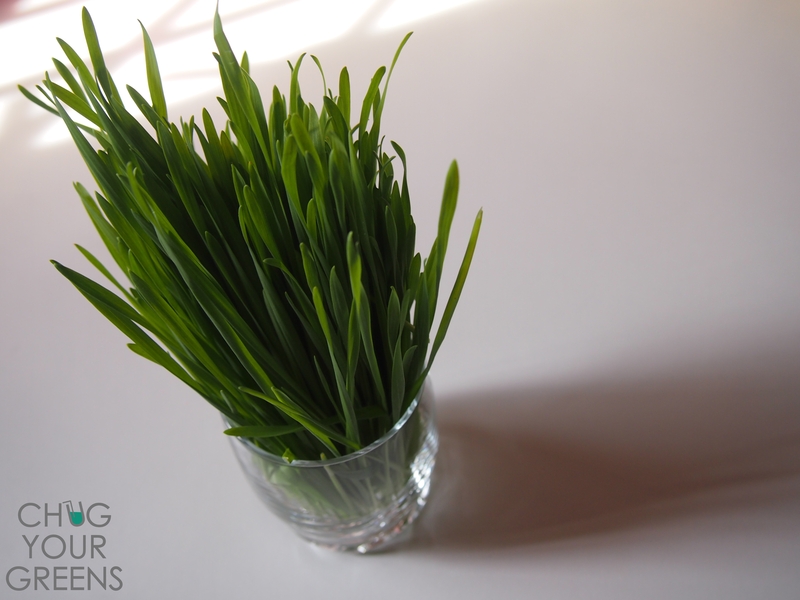 This is a great post – wheatgrass is so good for you, but hard to figure out! I like it fresh the most, but resort to powdered when I’m in a hurry or traveling. I have to sell my slow juicer due to lack of space and thought I’d not be able to juice fresh wheat grass anymore. So this was so helpful, thank you!